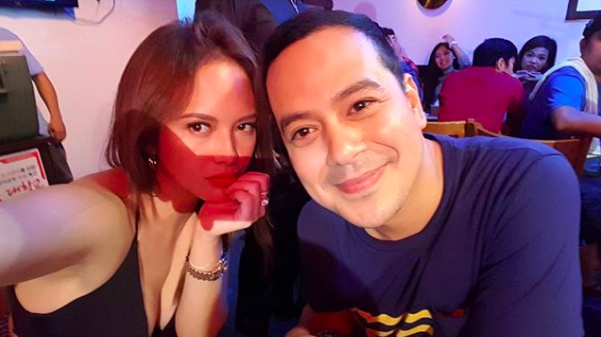 Last September 2017, Ellen Adarna has been rumored pregnant, and John Lloyd Cruz is the father, but there is no confirmation that the rumor is one hundred percent true. But now Ellen Adarna is pregnant. According to Pep.ph that some of Ellen's close friends confirmed the rumor and told that the 29-year-old Kapamilya talent had been spotted on two different occasions which she said that she is pregnant. According to the couple that they were too determined to double the effort of taking care of Ellen's pregnancy to avoid any severe problem. Their rumored relationship sparked last September 2017 when Ellen uploaded some of their photos while on vacation in Bantayan Island, Cebu. Pictures and videos have been spread all over the social media and shocked netizens with the current status of their relationship. There was also a viral video of John Lloyd getting drunk and dancing which received different criticism from the netizens, but many of his fans defend him against basher. This October John Lloyd Cruz decided to take a leave from his busy schedule in his showbiz career after receiving negative feedback and criticism from many people and some of his fans. A report confirmed that John Lloyd was with Ellen when she spotted leaving the country for the said vacation. As of now, there is no formal confirmation from the management companies of John Lloyd and Ellen about the pregnancy of Ellen. What are your thoughts about the revelation of Ellen? Share this article.